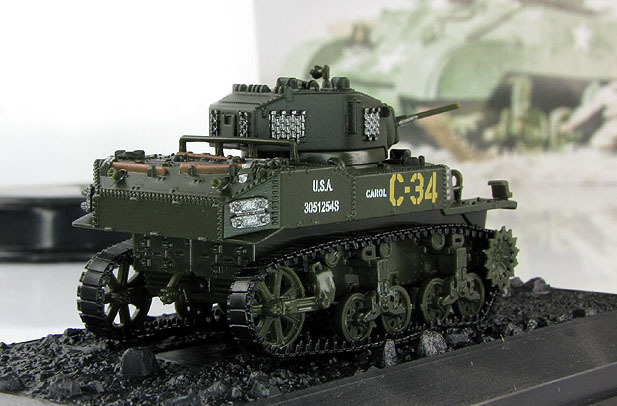 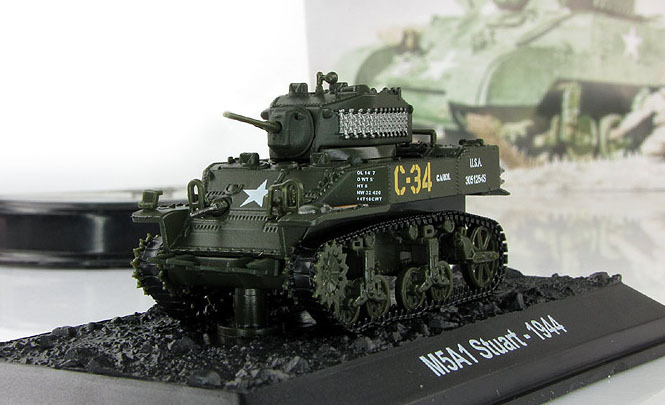 The M3 Stuart, formally Light Tank M3, was an American light tank of World War II and supplied to British and Commonwealth forces under lend-lease prior to the entry of the U.S. into the war—and used thereafter by U.S. and Allied forces until the end of the war. 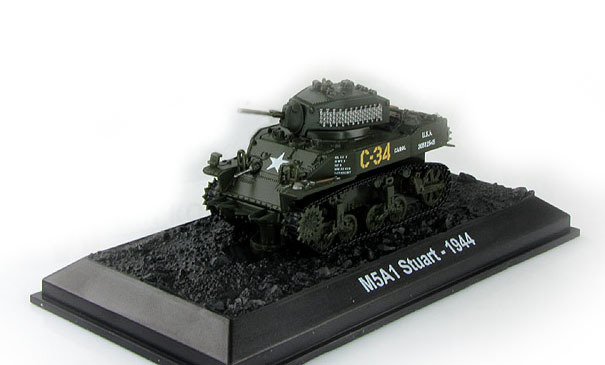 The M3 Stuarts were the first American-manned (U.S.) tanks in World War II to engage the enemy in tank versus tank combat. 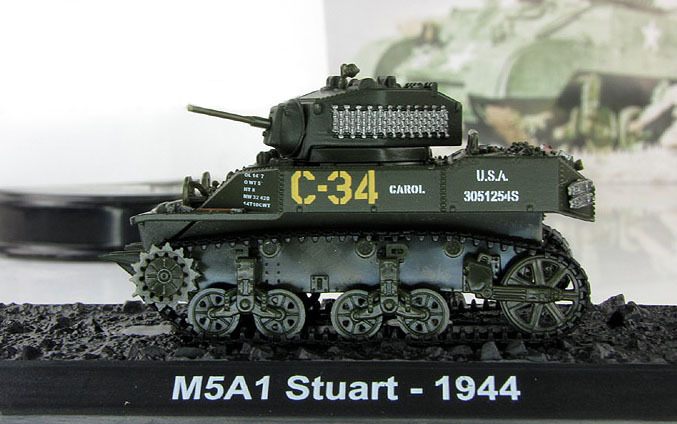 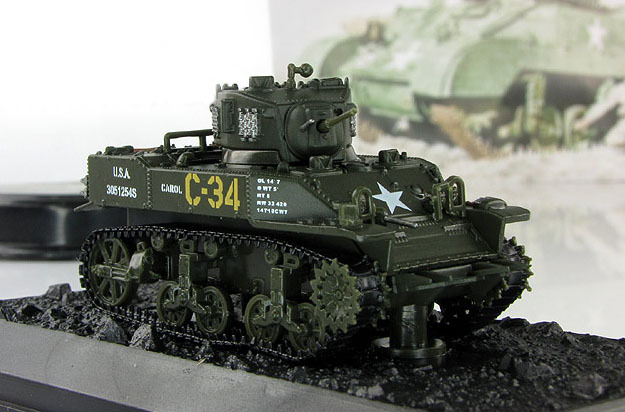 M5A1 (Stuart VI). 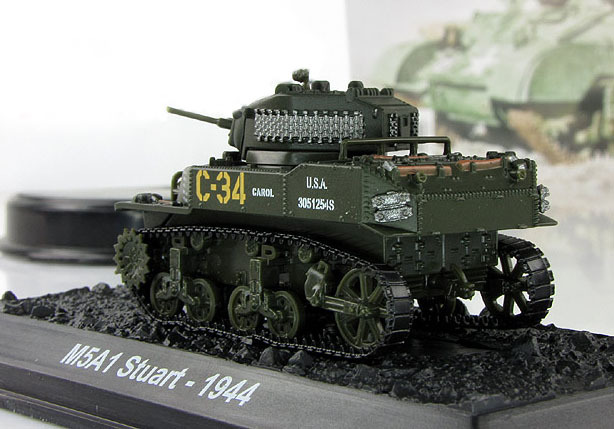 6,810 produced.